Ture Rangström composed his first and only string quartet in the summer of 1909, at the age of 24. 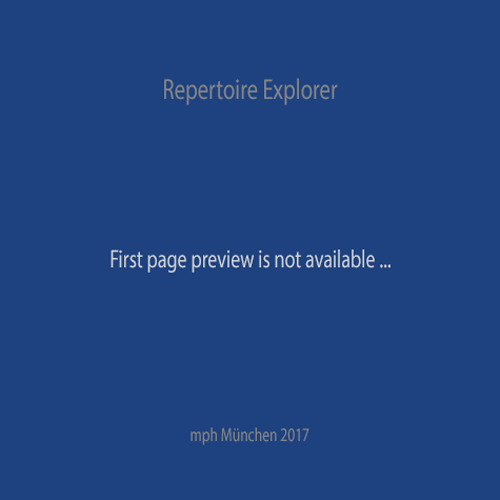 It is a youthful work inspired by the writings of Hoffmann, which Rangström had first encountered while a student in Germany. 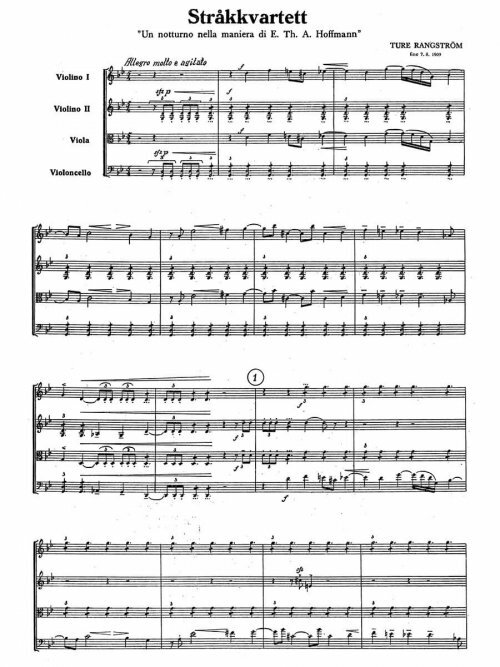 It was premiered by the Ruthström Quartet on 7 August 1918 but was not published until after Rangström’s death, by which point it had been subject to revisions by his fellow composers Edvin Kallstenius and Kurt Atterberg. 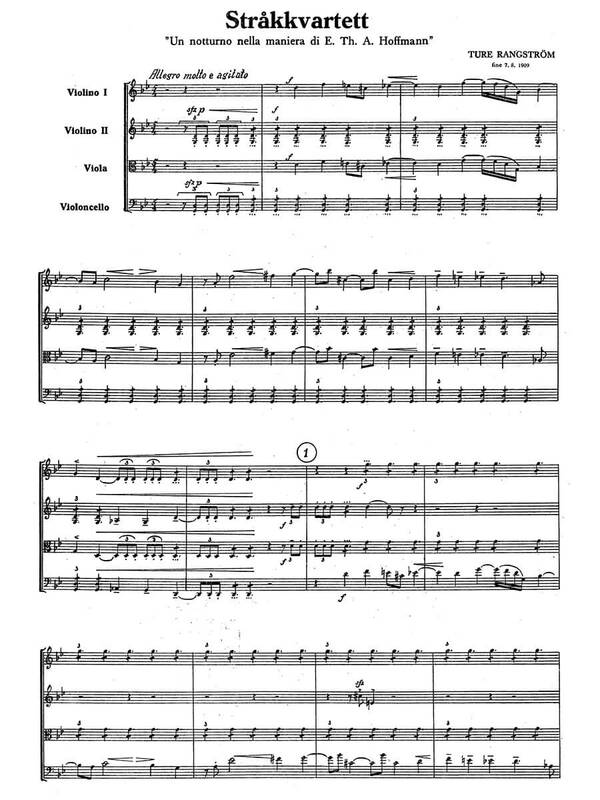 Rangström had given his consent to these revisions with self-deprecating distance, describing the piece as ‘my old, clumsy string quartet’ and blaming its deficiencies on his younger self’s lack of compositional technique. Such retrospective criticism perhaps overlooks the value of the quartet’s energy and experimentation, which was commended at the time of composition by the Danish composer Carl Nielsen, who wrote to Rangström, ‘I think that the life and temperament that exist in your quartet are more than breath-taking’. However, as Rangström’s biographer Axel Helmer points out, Nielsen also seems to have seen room for improvement, in that he suggested to Rangström that they should discuss the capabilities and limitations of chamber music. Nielsen’s music had been a source of inspiration for Rangström, who wrote to the older composer that the piece should rightly be called his string quartet. The letter also reveals that Rangström conceived it as a contrasting reflection of an orchestral work by Nielsen, as ‘a pendulum, an antipode, a negative picture, a shadow, a dark picture (where yours was light) of the voices in your Saga-Drøm.’ Both works are based on narrative: in Nielsen’s case, an episode from an Icelandic saga, and in Rangström’s case, the works of Hoffmann. Both works are single-movement pieces in free form; Rangström described the collage-like structure of his string quartet as ‘rhapsodic, dramatic, if you will, but intended [to be] just so’.